Dental visits are simply a routine part of life that people don’t spend much time thinking about. However, at Timberlea Services Centre, we understand that some people feel greater anxiety about their dental appointments than others, and we offer sedation dentistry in Fort McMurray as a solution. For those who experience dental phobia, the days leading up to an appointment can be filled with unease and apprehension. They may have trouble sleeping the night before and even feel queasy on the way to their appointment. If this happens to you, then you should know that you are certainly not alone. Dental phobia is difficult to live with, and can become a big problem when it stops people from taking care of their oral hygiene by having their teeth regularly cleaned and examined. Avoiding the dentist because of feelings of anxiety can greatly increase your risk for developing cavities, gum disease, and other oral diseases. The good news is that people with dental anxiety don’t have to force themselves to simply “tough it out” and have an uncomfortable time in the dental chair. Sedation dentistry in Fort McMurray can take all of the stress and worry out of the experience. There is no pain involved in the process, only a slight pinch of the needle which delivers the anesthetic. Sedation dentistry uses mild to heavy sedation, depending on a patient’s wants and needs, in order to promote feelings of calm and relaxation. Under mild sedation patients are awake, but in a much more relaxed state of mind. Under heavier sedation patients can simply go to sleep and wake up after the procedure is over, feeling like hardly any time has passed. 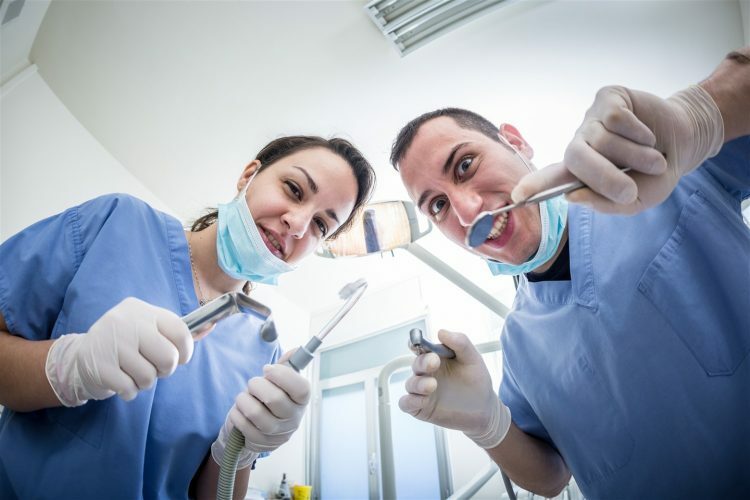 Sedation dentistry is the perfect solution for anyone who experiences mild to severe anxiety about going to the dentist, and for anyone who has an uncomfortable time during their appointments for other reasons. Such reasons may include sensitive teeth, a low threshold for pain, or a sensitive gag reflex. Patients who need complex dental procedures which would usually require multiple visits can also benefit from sedation dentistry in Fort McMurray. From the patient’s perspective, the procedures will seem to have taken only a short while. Additionally, sedation may even allow for all of the necessary work to be done all at once. Many parents consider sedation dentistry for children who are fearful of the dentist or who have a difficult time sitting still. In the hands of a trained Medical Anesthesiologist, sedation can be safe and effective for adults and children alike. At Timberlea Services Centre we are happy to provide sedation dentistry services for those patients who can benefit from them. If you think that you or a loved one could benefit from sedation dentistry in Fort McMurray, we encourage you to contact Timberlea Services Centre today.